Emirates, the world’s largest international airline, announced this week that it will introduce the first scheduled commercial Airbus A380 service to Hamburg. To commemorate the inaugural arrival in Hamburg on 29 October, the A380 will be deployed on the morning service (EK059/EK060), while from 30 October the A380 will be regularly deployed on the afternoon service (EK061/EK062). The deployment of the iconic double-decker aircraft will represent a capacity increase of over 22% on the route. 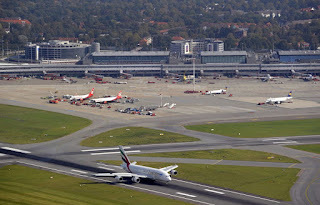 With a total of 6,090 weekly seats in each direction, Emirates will offer business and leisure travellers from the North of Germany an even greater choice of travel options to Dubai and to over 150 destinations beyond, highlighting Hamburg’s importance as part of the airline’s global network. With its existing multiple daily A380 services to Frankfurt, Munich and Dusseldorf, Emirates will be operating all German gateways with its A380 flagship aircraft. Emirates’ Airbus A380 aircraft serving the Dubai-Hamburg route will offer high levels of comfort and high quality service: a total of 516 seats in a three-class configuration, with 426 spacious seats in Economy on the main deck, 76 fully flat bed seats in Business and 14 First Class Private Suites on the upper deck. The Emirates A380 is renowned for its First Class Shower Spas as well as the Onboard Lounge for First and Business Class passengers, arguably the most popular social spot at 40,000 feet. Passengers in all classes enjoy free Wi-Fi to stay in touch with family and friends and Emirates’ multi-award winning ‘ice’ inflight entertainment with up to 3,500 channels of movies, TV programmes, music and podcasts on the industry’s biggest personal screens in each class of travel. First and Business Class passengers also benefit from a complimentary chauffeur drive service as well as access to Emirates’ global network of airport lounges, including a 900m² lounge facility at Hamburg Airport. “We are excited to finally bring our Airbus flagship ‘home’ and see Hamburg join the other 48 destinations we currently serve with the A380. The Emirates A380 is an iconic aircraft that continues to excite our customers and set the benchmark for travel comfort in commercial flying. We look forward to offering the award-winning Emirates A380 experience to our customers flying from Hamburg. The switch to the A380 offers a total of 1,120 additional seats per week in each direction, meeting a growing demand from travellers on the route and demonstrating our commitment to Hamburg. Enabling an increase in passenger numbers will also result in additional tourism revenues for Hamburg and its wider region, which in turn will mean boosting the local economy and job creation,” said Volker Greiner, Emirates Vice President North and Central Europe. “Emirates has been a fixed component of our operations and a reliable partner for twelve years now. Demand has been high on the direct route to the hub in Dubai, now served with two daily flights, from the very beginning. The fact that Emirates is now also deploying the A380 for scheduled operations at Hamburg Airport is a logical consequence of the consistently high load factor on the Dubai flight. For passengers, this means even more comfort and an even better product offering. The decision is a clear commitment to Hamburg. 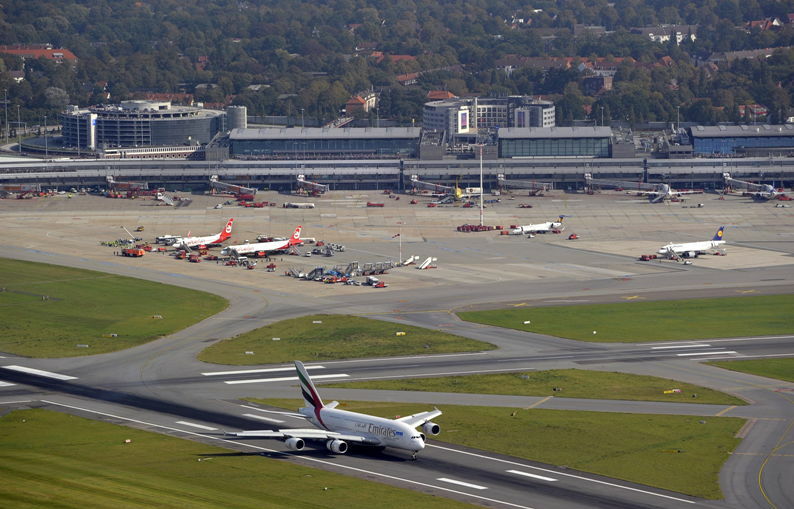 With the increased seating capacity, Emirates is underlining the attractiveness of the route and of the Hamburg Metropolitan Region as well as the importance of our airport in the airline’s international route network,” commented Michael Eggenschwiler, CEO of Hamburg Airport. As Hamburg becomes the 49th destination on Emirates’ global network to be served by its highly popular A380 aircraft, passengers travelling from Hamburg can enjoy a seamless A380 to A380 experience via Dubai to Auckland, Bangkok, Hong Kong, Mauritius, Seoul, Shanghai, Sydney, Taipei, Tokyo and many more. This year marks the 10th year of Emirates’ A380 operations. The airline is by far the largest Airbus A380 operator on the planet. With a current 103-strong A380 fleet and an order backlog for 59 additional aircraft combined, Emirates’ commitment to the A380 programme is worth over US$ 60 billion. All Emirates A380s are being fitted at Airbus in Hamburg including significant cabin interior work and final livery, and are being delivered from Hamburg. The Emirates A380 programme creates and supports manufacturing jobs across the global aircraft manufacturing supply chain. Airbus estimates that Emirates’ A380 orders alone support 41,000 direct, indirect and induced jobs in Europe, including some 14,500 in Germany alone. The Emirates A380 made its first Hamburg visit as one-off part of Hamburg Airport’s 100th anniversary celebrations on 24 September 2011. From 30 October, flight EK061 will become an A380 flight, leaving Dubai (DXB) every day at 15:00hrs and arriving in Hamburg (HAM) at 19:05hrs. The return flight, EK062, departs Hamburg at 21:00hrs and lands in Dubai at 06:20hrs the next morning (all times are local). The daily flight pair EK059/EK060 between Dubai and Hamburg will remain Boeing 777-300ER operations.